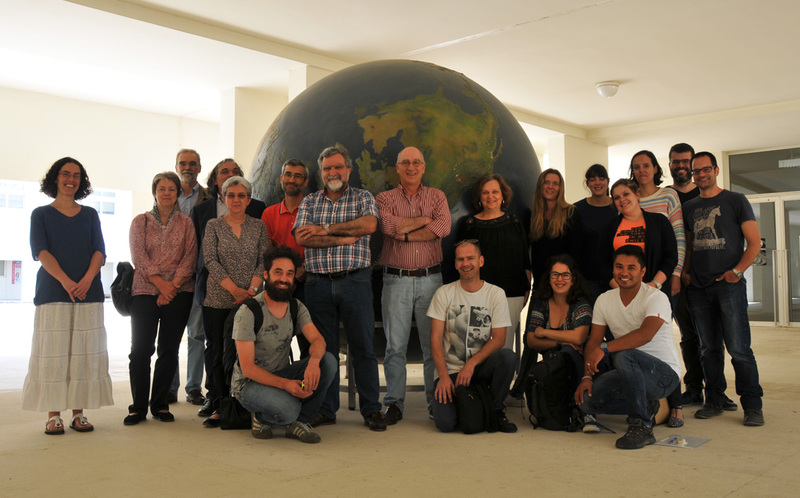 The Solid Earth dynamics, hazards and resources group focuses on solid Earth geodynamics, with emphasis on ocean islands, continents and continental margin processes. The group investigates mantle, crustal and surface processes, with the goal of tackling critical challenges: 1) Earthquake and volcanism, from the fundamental investigation of seismogenesis and volcanogenesis to the development of innovative monitoring techniques; 2) Mineral and hydrocarbon resources, from understanding their genesis to their exploration and exploitation; 3) Understanding past environments, climates, and their evolution based on the geological record. In order to build a solid knowledge foundation that allows us to better tackle these challenges, we undertake research on the composition, structure and dynamics of the crust and mantle in different tectonic settings. Particular attention is given to the privileged natural laboratory of the Atlantic basin, with its volcanic islands, margins, and continental surroundings. Group Leaders: Susana Custódio and João Mata. The growth and decay of ocean-island volcanoes are intrinsically linked to vertical movements. While the causes for subsidence are better understood, uplift mechanisms remain enigmatic. 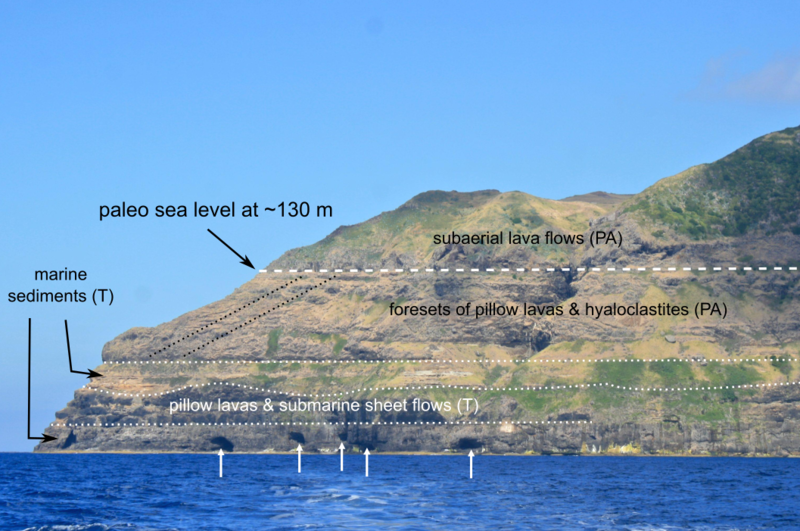 In order to unravel the origins of ocean island uplift, researchers at IDL led an international effort to study Santa Maria (Azores), an island that should be experiencing subsidence but yet is famous for its exposed submarine sequences, which suggest uplift. 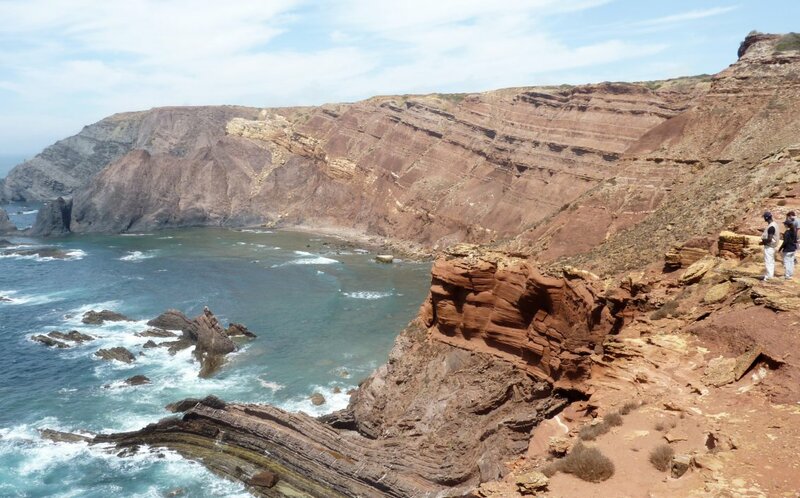 Using a combination of detailed fieldwork and isotopic geochronology, this work documented changes of relative sea level to reconstruct the vertical movement history of Santa Maria. The results were published in GSA Bulletin (Ramalho et al., 2017), with the paper being highlighted in EOS (AGU’s magazine). The work revealed that Santa Maria exhibits a complex evolutionary history spanning 6 m.y., with significant subsidence followed by uplift equal in magnitude but at a slower rate. 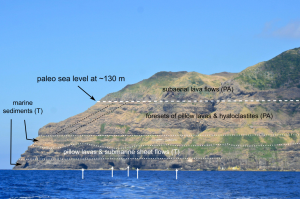 This uplift is mostly likely caused by crustal thickening by basal intrusions, suggesting that intrusive processes play a significant role even on islands standing on young lithosphere, such as in the Azores. Ambient noise (AN) surface wave tomography is now a common tool in seismology. But, until recently, it has not been successfully applied in the investigation of margins where land (LS) and Ocean (OBS) seismic stations data must be combined. In the study of Corela et al., 2017, 24 OBS deployed in the Gulf of Cadiz and 7 LS in the South of Portugal were used together to image the sedimentary and crustal structure beneath SW Iberia. The procedure used was straightforward: i) compute AN cross-correlations to obtain empirical Green’s functions between all station pairs; ii) group velocity dispersion analysis; iii) two-step inversion of the dispersion curves to obtain the 3D distribution of the S-wave velocities. Despite the gap between the OBS and LS locations, the derived velocity model displayed a good correlation with the known geological structure, being locally in agreement with the models proposed by other studies using near vertical, refraction and wide- -angle seismic profiling. Results showed that it is possible to integrate seafloor- and land-based stations to perform AN tomography to derive a model of the structure in the transition domain between continent and ocean.